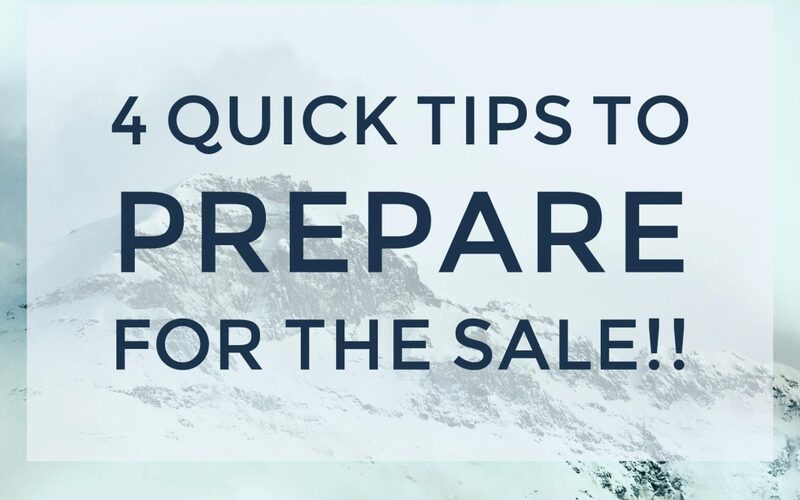 4 Quick Tips to Prepare for the Sale!! Mentally – Are you mentally prepared? Meaning, are you mentally prepared to engage and listen to your client? The best salespeople are great listeners. Make sure you are not distracted by day to day activities. Give your client your full undivided attention. Some people meditate to get mentally prepared. Figure out what you can do so you are focused when you are engaging in helping your prospects. Physically – You hear all the time about body, mind, and soul. How about body, mind, and sales? To have your mind in shape you must also be thinking about your physical shape. Have some type of activity during the week. Sales can take its toll on you during the bad times and there are bad times. If you are in good physical shape then you can weather the storm to get back on track faster. Research – This means finding out more about your potential customers. With all the social media we have there is no reason, especially if you have an appointment, not to use the Internet as a tool to know more. If you just take a few moments to look up their name you might find out that you went to the same college or your children play in the same soccer league. Those are great ice breakers in an introduction to bring up. It gets them more relaxed and talking. That is what you want in a sale. To gather information and find out if you can assist them. So research the company and who you be talking to. It is only going to benefit you in the long run. Practice – One of the most unused techniques we find in working with clients is that they don’t practice their sales pitch. Wow, why not? Do you know what you sound like? Do you stutter? Are you going too fast? How do you know? If you own your own business or work with a sales team you should know your elevator pitch and your sales pitch. It is one thing to learn a sales skill but another to practice. Daily, if not weekly, you should practice what you are saying to a coworker or record yourself with your phone. You will be amazed how you sound. You can always improve and the best way is to practice. If you don’t prepare for your sale you have already lowered the possibility of making the sale. You want the best chance to be the best salesperson you can be. That requires skill and technique. So prepare for it as well. Using these four simple steps can make a huge difference in your sales skills.